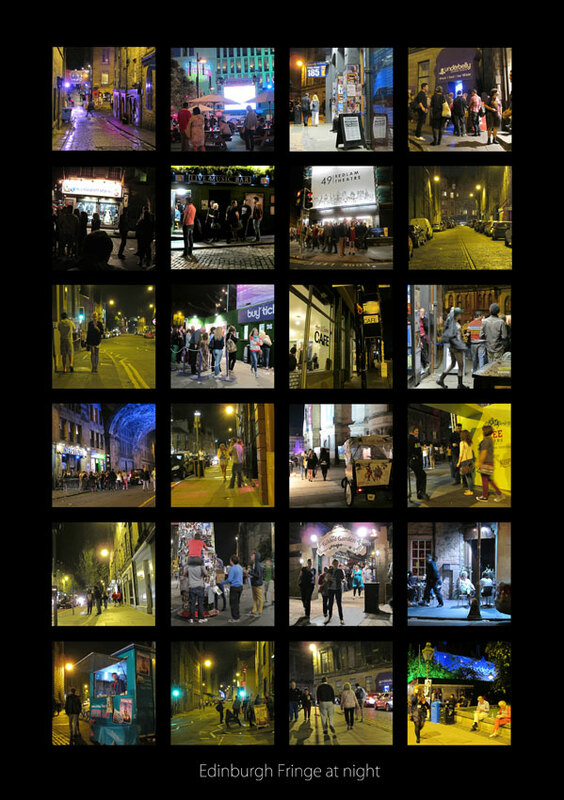 Complete list of shows produced by Ian Fox at the Edinburgh Fringe. 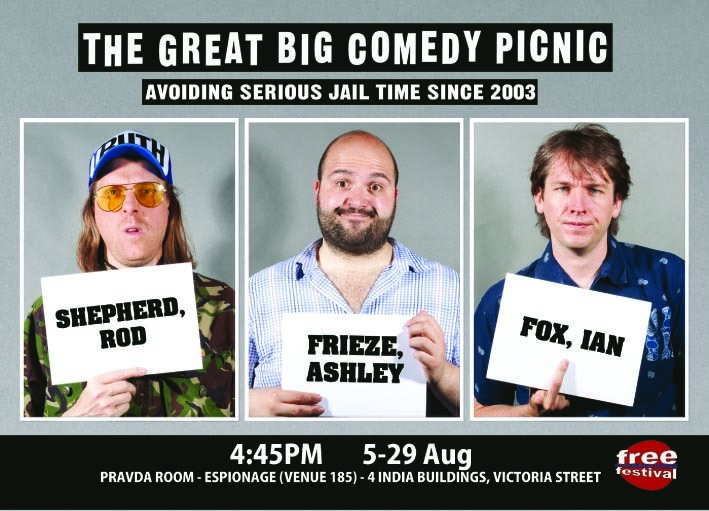 The Great Big Comedy Picnic – The Pod. Festival Square, Lothian Road. Line up:: Ian Fox, Jonathan Mayor, Lou Saffire, Jonathan Paylor, Jo Dakin, Roland Gent, Martin Cassidy (RIP), The Mighty Swob, Kate Fox, Laurence Clarke, Mark Langley. Guest slots included: Alan Carr, Alfie Joey, Mick Ferry, Anvil Springstien, Karen Bayley, Seymour Mace, Greg Cook, Caimh McDonnell, Silky. Line up: Ian Fox, Greg Cook, Roland Gent, Tom Read, Paul Betney, Rodney Marques, Ken Bulger, John Cooper, Jonathan Mayor, Neil Smith, Mick Davies. Guest slots: Jason Manford, Mick Ferry, Seymour Mace, Barbara Nice. The Great Big Comedy Picnic. The Counting House, West Nicholson Street, Edinburgh. Line up: Ian Fox, Ashley Frieze, Paul Betney, Chris Roche, Mighty Swob, Ken Bulger, Dave Turquoise, Bob Darwin. Merle Handsome’s Late Night Comedy Extravaganza. The Counting House, West Nicholson Street, Edinburgh. Ian Fox – One Man Defective Story. Royal Air forces Club, 11 Hillside Crescent Edinburgh. The Great Big Comedy Picnic Espionage, 4 India Buildings, Victoria Street, Edinburgh. Line up: Ian Fox, Ashley Frieze, Chris Roche, Mighty Swob. The Great Big Comedy Picnic: Pig Flu Extra. The Hive, 15-17 Niddry Street, Edinburgh. The Great Big Comedy PicnicEspionage, 4 India Buildings, Victoria Street, Edinburgh. Ian Fox Exposes Himself.Espionage, 4 India Buildings, Victoria Street, Edinburgh. Line up: Ian Fox, Ashley Frieze, Dave Dynamite, Obie, Spring Day, Mick Sergeant and Phil Ellis.